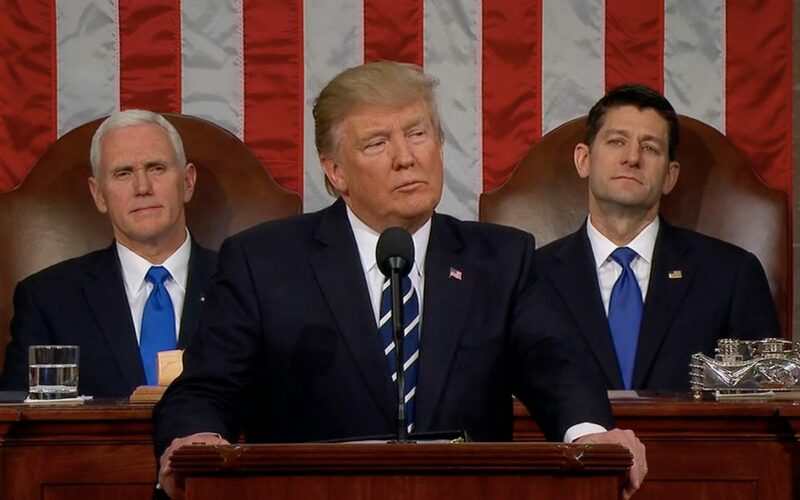 WASHINGTON — President Donald Trump delivered his first speech to Congress Tuesday night. The speech offered his blueprint for fulfilling campaign promises, with some specific programs and some general goals. “I am here to deliver a message of unity and strength,” Trump said at the beginning of his address. He also delivered a few misleading statements, but fewer than in some of his other speeches. That number, from the Bureau of Labor Statistics, is the total of Americans “not in the labor force.” It is misleading as a gauge of unemployment because it includes a lot of people who aren’t looking for a job—those past retirement age, high school and college students, stay at home parents. A better snapshot of unemployment would come from looking at people seeking a job who are unable to find one, which is about 7.6 million. That Department of Defense number includes an estimate for future spending, such as interest and care for veterans over the next 30 years. The wars in Iraq and Afghanistan cost the United States about $1.6 trillion from 2001 to 2014, according to the Department of Defense. Trump was referring to plans announced previously to issue a new executive order to replace his previous effort to ban immigrants and refugees from seven Muslim-majority countries. But the terrorist attacks Trump referenced in his speech—9/11, San Bernardino and the Boston marathon bombing—would not have been stopped by the travel ban that was blocked by federal courts. The attacks were committed either by American citizens or immigrants from countries not included on the list of seven Muslim-majority countries.